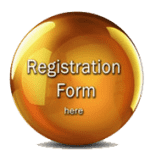 Onsite registration covers only Certificate of attendance. Payment is due in full once you have registered. If you cancelled the registration after you have already paid, no refund will be issued. We encourage companies or departments who have more than one participant to make collective bank transfer. If you wish, you may transfer your registration to someone else who has not previously registered. This must be done by e-mail not more than three days before the conference. This e-mail must include the name and contact information of the person. Any deviations from this policy are at the discretion of the conference council.